Elche is the Spanish capital for shoes. More than 18,000 people are employed in the footwear trade in Elche producing leisure shoes, fine leather footwear and some snazzy designer heels. We're not talking any old shoes. We're talking quality shoes with great designs. This is a serious shoe city. Not only that, Elche has more than 200,000 palm trees at the last count and its grove has been declared a World Heritage Site by UNESCO. Elche has played an important part in Spain's history for centuries. It enjoyed a golden era in the Iberian age when it produced sculptures such as the Dama de Elche. This remarkable piece is housed in Madrid but Elche has been fighting hard to return it to its rightful home. 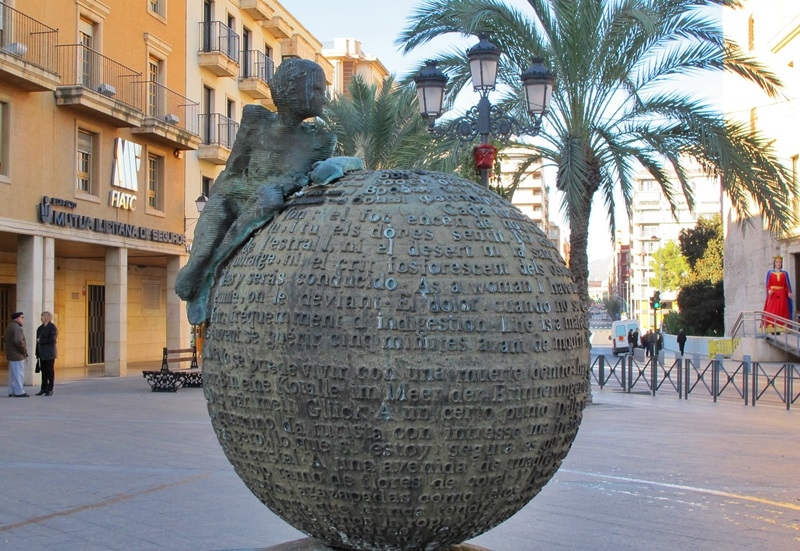 Various replicas can be found in Elche. Another claim to fame for Elche is the unique mystery play which dates from the Middle Ages. UNESCO has declared it a Masterpiece of World Oral and Intangible Heritage. . The play tells the story of the Assumption and Coronation in Heaven of the Virgin Mary. It is held in the Santa Maria Basilica every August with music, drama and a spectacular show. Take a stroll through Elche's historical centre which pays fitting tribute to the city's glorious past with many monuments, churches, old squares and museums to guide you through Elche's unique story. As if that wasn't enough to tempt you into Elche's grasp, it also has many fiestas, shops, street markets, a vibrant nightlife and beaches. It also has one of Spain's largest football stadiums and the national team have played here in front of a capacity crowd of 39,000. As you would expect in such a fine city, Elche boasts many top hotels including two within the World Heritage Site and fine restaurants serving the best local cuisine, international cuisine and modern creative dishes. For a true taste of Elche try the many rice dishes, local seafood and sweets such as the Tortada de Elche or fruit such as dates, figs and pomegranates. Let's see if Elche will have you eating out of the palm of its hand. This museum has a fine collection of modern art, paying particular emphasis to Spanish painters such as the Grup D'Elx (Agullo, Coll, Castejon and Sixto Marco), Miro and Antonio Suarez. The building is in the Plaza Mayor del Raval. Its most important claim to fame is as the site where the Dama de Elche bust was found in 1897. The sculpture is a rare and particularly fine example of Iberian art which could date back to 5th century BC. The building now has a display of other important Iberian and Roman artefacts as well as pieces from the Bronze and Copper Ages. 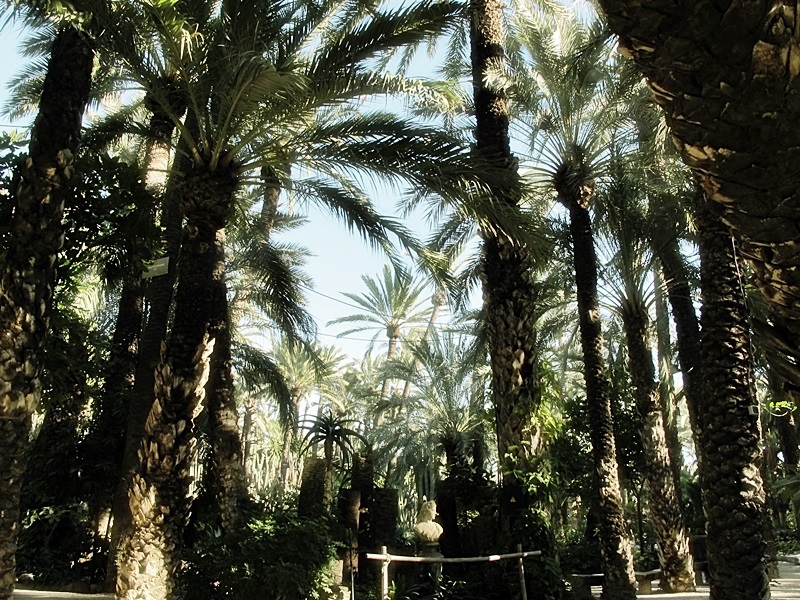 The largest palm grove in Europe and one of the largest in the world is at Elche with more than 200,000 trees. It was declared a World Heritage Site in 2000. Some of the trees are more than 300 years old. However, palms could have been planted here by the Carthaginians as early as the 5th century BC. One of the most iconic date palms is the Imperial Palm which has seven stems coming out in the shape of a candelabra. The palms are used for Easter processions while the edible dates play an important part in the local cuisine and are a popular fruit at Christmas. This important wetland came close to being destroyed in 1978 when tourism was booming in the area. Elche council took control of the marshland to protect it. The natural park is now home to a variety of birds and wild animals such as ducks, teals, frogs and the rare natterjack toad. This is a beautiful natural park which forms part of the former Albufera. Now there are several ponds and salt marches surrounded by palm trees and crops. It is a calm oasis away from the bustling city life. Elche market is held every Monday with stallholders selling wares from pottery to leather goods at a knockdown price. As Spain's capital city for shoes, it would be a shame to pass up the chance to invest in the country's finest footwear. Europe's biggest shoe shop and factory can be found on the Murcia-Alicante road in Elche and is owned by the Salvador Artesano firm. The city is also home to the Panama Jack brand which was founded in Elche in 1989 and now has stores in more than 22 countries around the world. For a day of sun or surf, head for one of Elche's sandy beaches which stretch over 12 kilometres. They are just a 15 minute drive from the city centre and provide a refreshing change from the hustle and bustle of city life. Elche is a haven for sports lovers offering scuba diving, windsurfing, horse riding, football, tennis, rugby and swimming. The Ciudad Deportiva is Elche's biggest sporting complex with football pitches, indoor football pitches, a running track, basketball courts, skateboarding area and an artificial rock face. Elche football club play at the Martinez Valero stadium, which is one of the biggest in Spain and can seat 39,000 fans. Elche play in the Spanish second division and former famous Elche players include the ex-Spain international goalkeeper Santiago Canizares and Cesar. Famous coaches include Alfredo Di Stefano who went on to manage Real Madrid and Valencia. It is worth checking if Elche are playing at home during your stay as they have a great style of football and it will provide an entertaining way to wile away a couple of hours. Elche is a small city so you can easily walk around the centre and the palm trees. You can buy local dates in the Palmeral shop. Elche is spectacular at Easter with its Palm Sunday and Holy Week parades. Many of the palms distributed around the world on Palm Sunday come from Elche. Elche is famous for its shoes. If you're looking for a bargain head to the Salvador Artesano discount factory shop. Elche also has a unique Mystery Play dating from the Middle Ages which is held in the Santa Maria basilica in August. It's deeply religious and moving so try to get your hands on tickets.